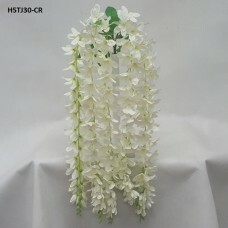 One bouquet with five hanging vines of foxtail orchids in full bloom and foliage at the base. 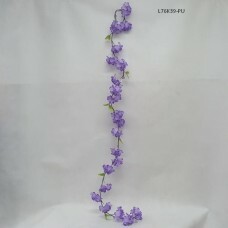 34 in..
A flexible vine with clusters of hydrangeas, green leaves, and loops for attachment. 76 inches in l.. 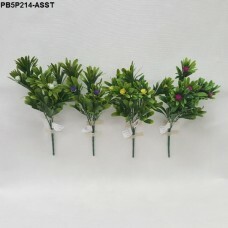 Bouquet with 5 branches of plastic leaves. Comes in an assortment of four different colors. Stands.. 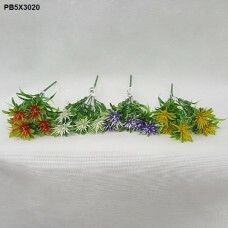 Plastic grass and leaves bouquet with 5 small plastic flowers. 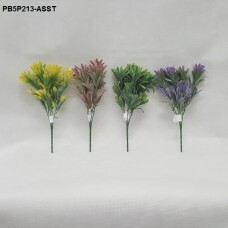 Comes in an assortment of 4 differen..
Grass bouquet with 5 flowers each. Comes in an assortment of 4 different colors. 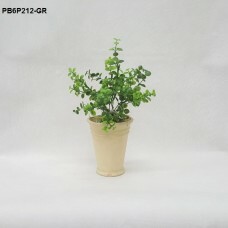 Stands 14 inches .. 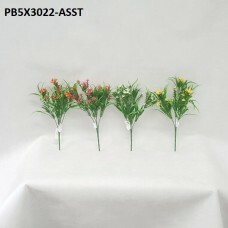 Plastic bouquet with small flowers, ferns, and grass. Comes in an assortment of four different colo.. 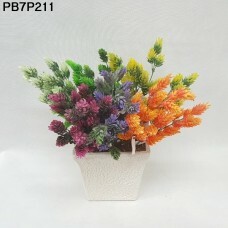 Bouquet with 7 branches of mini plastic pinecones. Comes in an assortment of 6 different colors. 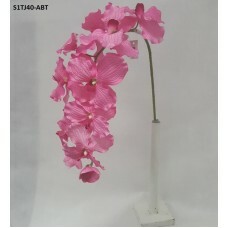 S..
A beautiful orchid spray that adds elegance to any arrangement and is lovely on its own. 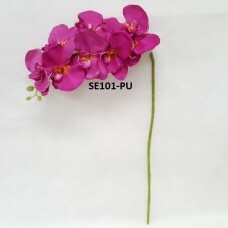 Each spray ..
EVA wildflower sprays that come assorted in 5 colors: Pink White Yellow Green Lavender ..
EVA spiral wildflower sprays that come assorted in 4 colors: Golden Yellow White Purple Pi..
A single branch of orchids with realistic shading and texture. Bundle multiple together for a stunni.. 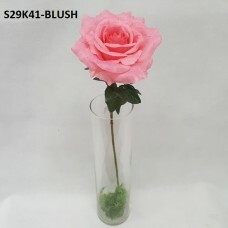 This elegant rose in full bloom with leaves is the perfect addition to any bouquet or vase. Stands ..
Three large Casa Blanca Lilies in full bloom, with one bud. 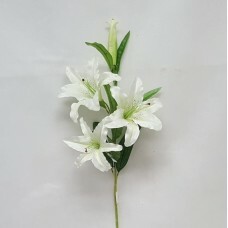 Each bloom opens to 10 inches in diamet.. Copyright ViaBella International Inc © 2019. All rights reserved.